For any of you that sew this is a wonderful tutorial for a traveling holster. I haven’t ran across one like this yet and it is free besides!!! Travelling through the urban jungle isn’t like dustin’ crops, buddy! For one thing, you’ve got to make sure you’ve got all your gear with you. You’ve got a cell-phone, iPod, headphones, keys, wallet, sunglasses… Before you know it, your pockets are bulging, and you’ve got nowhere to hook your thumbs and look cool. 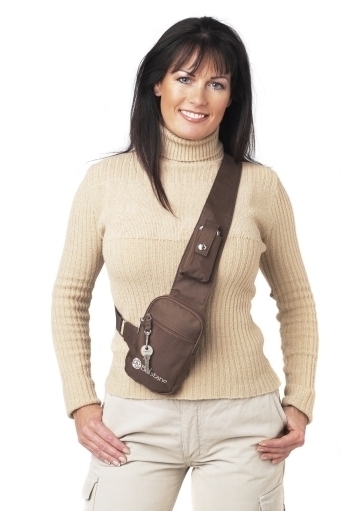 I’ve found this awesome holster that hold lots of gadgets, and keeps them readily available. You never know when you’ll need to grab your cellphone, iPod, wallet, keys, headphones, pen, whatever… so make sure they were right at the ready to go. The pattern is easy and the fabrication is simple.